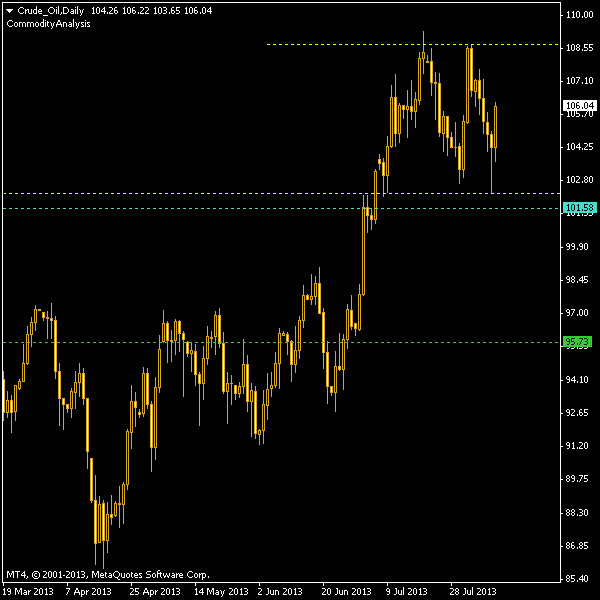 A double top pattern has formed on the daily chart of crude oil. Such pattern does not promise the commodity anything good. Usually it indicates a strong resistance level that prices are unable to penetrate, making them slip into downtrend. For now, crude prefers to move higher, but possibility of a decline is rather high. A drop would not be a big surprise to market analysts since prices were moving virtually nowhere after a sharp jump that followed another prolonged period of sideways movement. Such pause in a rally may suggest that the commodity has lost upward momentum. Of course, bulls may argue that just a short stop before another thrust higher. On the chart, top yellow line indicates the level of resistance that oil was not able to penetrate thus far (in fact, it was the highest level that prices have reached in a year), while bottom yellow line shows the level of a breakout should prices move lower. In case crude oil indeed break to the downside, traders are advised to take positions at the level showed by the cyan line (which are derived by subtracting 10 percent of the range, showed by the yellow lines, from the breakout level). The green and cyan lines form a channel of the same width as the one formed by the yellow lines. The green line offers a profit-taking target. 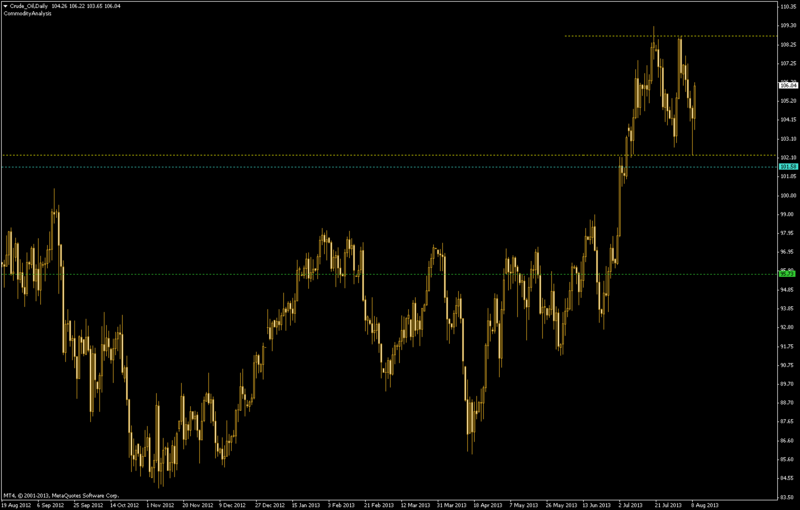 If you have any questions or comments regarding this chart pattern for crude oil, please feel free to reply below.